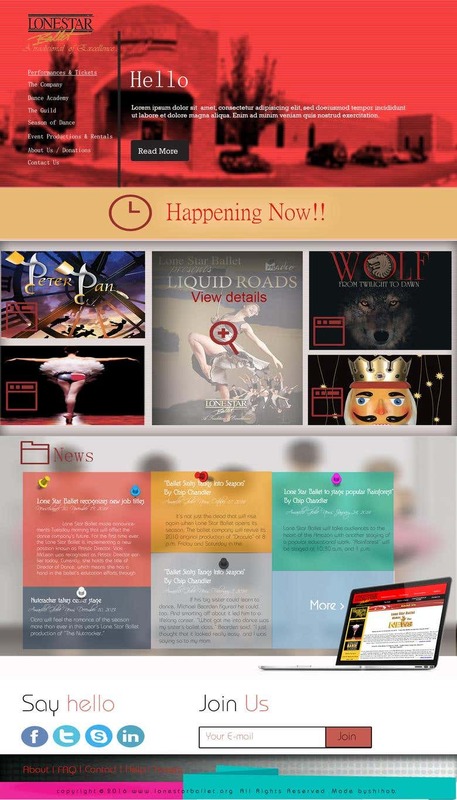 This is a website redesign concept for a more modern look of the website than the previous look. At first let me have the honor to thank you for stopping by. Hi! I'm Shihab Sharar, an expert in PHP development. I have 4 years + expertise in this field, Have developed more than 50 websites, 100+ email templates, 87+ landing page, helped in marketing for facebook. I have couple of other skills which comes handy time to time, like: ★	Website Design ★	HTML ★	CSS ★	bootstrap ★	jQuery ★	E-commerce development ★	Blog Building ★	Mailchimp for subscription list building ★	PSD development for landing page ★	Google analytics ★	Google tag manager ★	Google search console ★	VPS setup ★	Facebook Marketing ★	Google Adwords Usually I use Laravel when developing any PHP site, But I can handle intermediate level of WORDPRESS , SHOPIFY and PRESTASHOP also. In my development process, I try to keep the code clean and optimized with proper documentation so that its possible to maintain on later phase. So if you are in need of a web developer ping me in this platform. I will be glad to help you out!